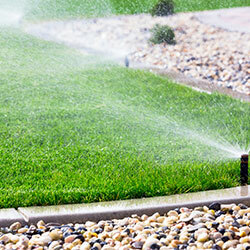 Our resident outdoor water use efficiency expert, Dr. Melissa Baum-Haley, has developed a series of articles to educate homeowners on efficient irrigation practices and principles. This series covers irrigation basics, such as evapotranspiration and the history of the lawn, and builds up to more advanced topics, like distribution uniformity and smart irrigation technology. Click on the links below to read the articles and boost your water I.Q.! Part One: What is ET? Part Three: Boost your Smart Irrigation I.Q.